Old Marsh Golf Club comes with a bit of history. 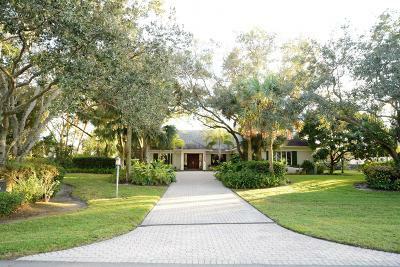 In 1984, Old Marsh Partners purchased the Lewis Ranch comprising 456 acres of marshes and stately upland pines hidden in the heart of palm Beach County. 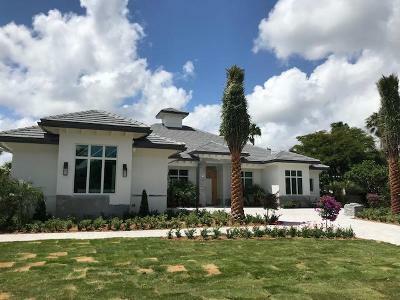 Developed from this extraordinary property came a private residential golf club community. Old Marsh has been nicknamed the "purist club," depicting a place for those whose love of golf approaches passion. The historic traditions of the game are cherished and protected at this exclusive club. In April 1998, Old Marsh proudly obtained the status of "Certified Audubon Cooperative Sanctuary", which is a program of Audubon International. Members embrace the beautiful, natural setting that is the perfect backdrop for the golf course. Majestic pines, sawgrass vistas and pristine oak hammocks remain virtually undisturbed. Every element of the course is uniquely compatible with the natural environment. Old Marsh is a traditional golf club. As such, some of the club's customs and regulations may vary from other clubs which many guests may be familiar. Cellular phones are only to be used in the locker rooms or inside your car. This regulation of Old Marsh is in an effort to preserve the integrity of the club and out of respect for all members and their guests. Valet and bag drop are available and provided by the club and is strongly encouraged. Members and guests should change their shoes in the locker room. Check-in is required prior to play by visiting the golf shop. A courtesy card will be issued for the group by the staff for all food and beverage purchases. All purchases must be paid for by credit card in the golf shop at the conclusion of the round. Old Marsh has a mandatory membership application which is required by the Property Owners Association upon purchasing your home or lot. Membership is by invitation only. The Quarterly Assessment per lot (Undeveloped lots pay only Income Statement Operations portion until the home is occupied. Some parcels are more than one lot, in 1/2 lot increments. The Assessment is adjusted accordingly.) Income Statement Operations: $902.00, Cable Television - $159.00, Trash and Recycling - $42.00, for a total quarterly assessment of $1,103.00. There are 150 occupied homes, with 1 model available and 6 homes under construction, leaving 10 undeveloped lots for sale (subject to change as sales progress). Resident services program is available to residents which include in-house staff for housekeeping, handy-man, homewatch and landscapers. In addition, pre-screened, licensed and insured Preferred Vendor Partners for services in 41 business categories are available. Old Marsh Golf Club is a one of a kind community.